Can You Spot the Racism? Since it would require a 24 hour job to point all the racist crap that goes out I thought it would be a good idea to just let you guys point it out and tell me what you think. I'm pretty sure the things I think are racist you might not see as racist so let's begin the conversation. 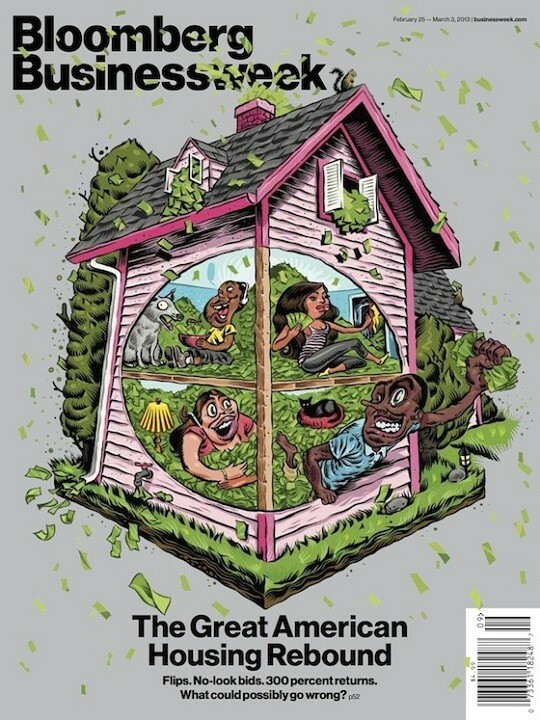 The first up at bat is this new cover from Bloomberg Buisnessweek about the housing bubble. Categories: Can You Spot the Racism? Well there are so many blantant images of racism shown here. The title suggest that the minority is making it big- money is coming out of everywhere since the so called housing rebound. "You have (had) a home, the American Dream, so what are you complaining about?"